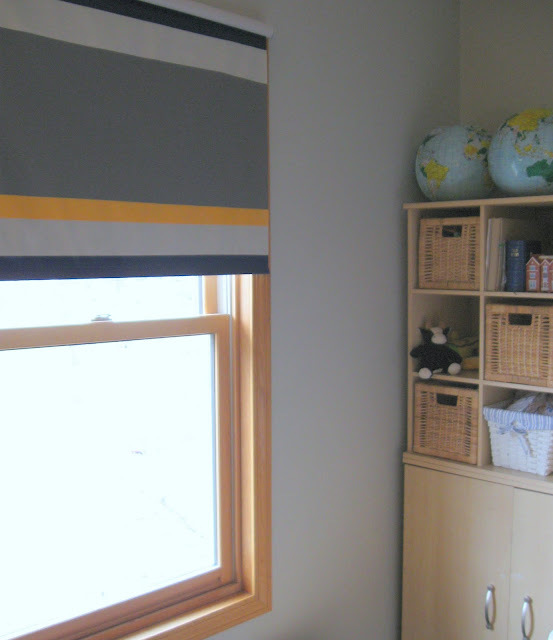 I wanted to try and paint similar stripes using fabric curtain panels this time. I bought two navy blue curtain panels on sale at Bed Bath and Beyond. The first step was to layout where I wanted the stripes. 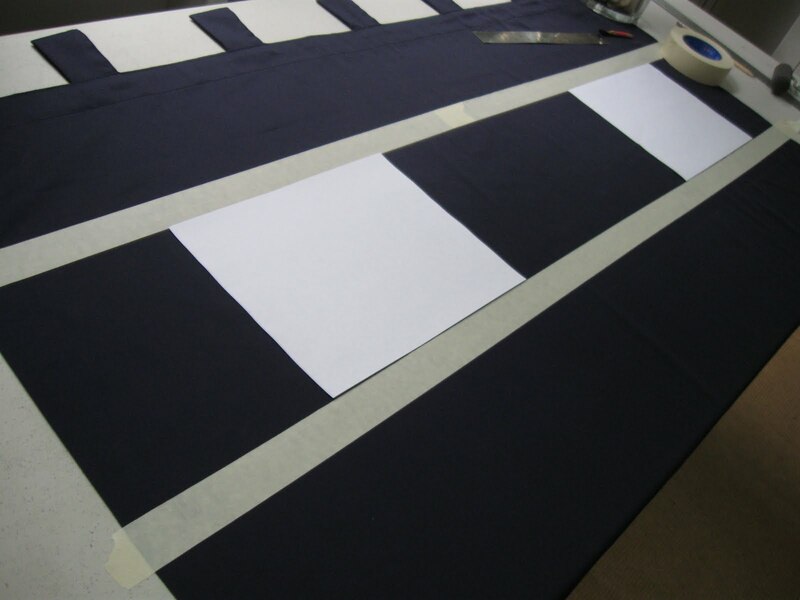 I used masking tape to tape off my sections and 8 1/2" x 11" sheets of paper to keep the size consistent. 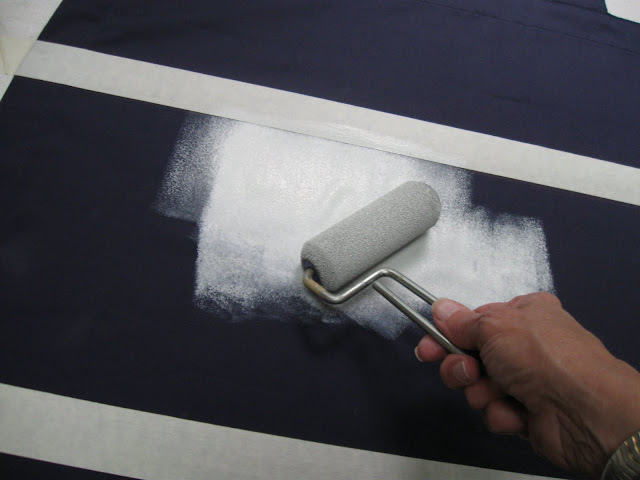 Once the taping was done I rolled on the latex paint using a small foam roller. Because I was painting a light color on a dark fabric it took many coats of paint to cover. If I were to try this again, I would go with a light colored curtain. 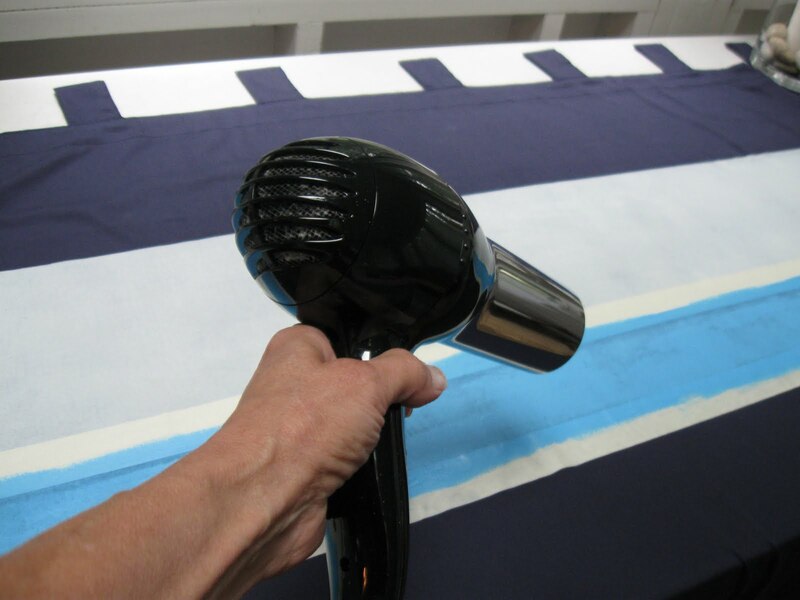 I painted on a rainy day, so a hair dryer helped to speed up drying time. When I got to the top stripe, I used grosgrain ribbon instead of paint for a crisp, white line. 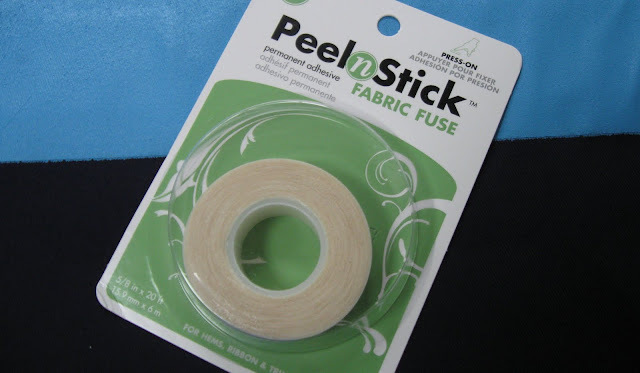 This PeelnStick product made it so easy...no sewing or ironing required! 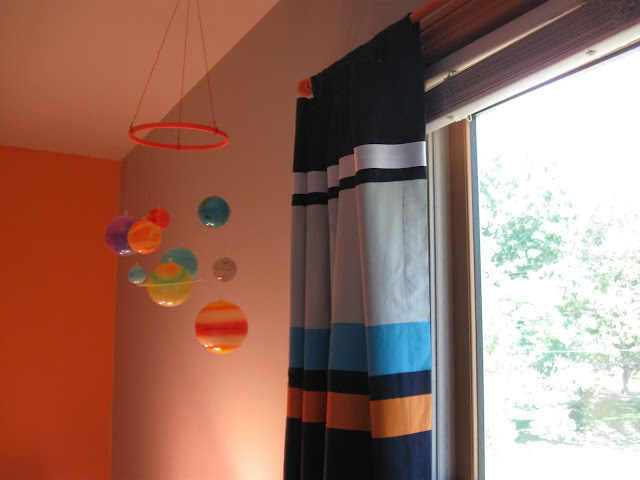 I picked up a white curtain rod from WalMart and painted it orange. 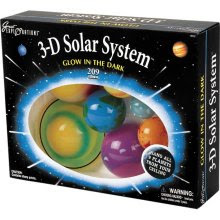 The fun solar system is from a local toy store. 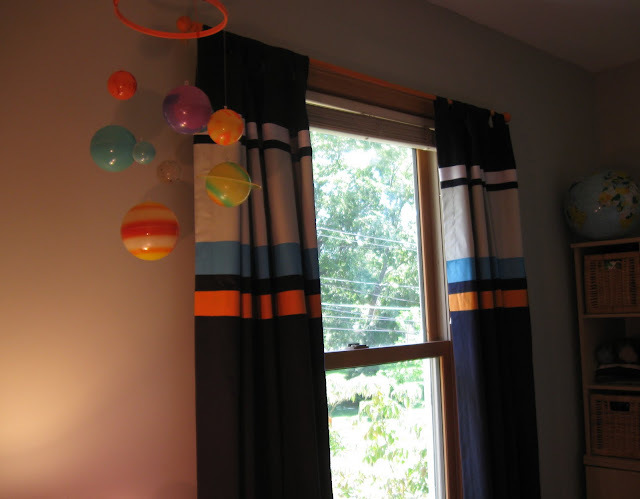 I tied the planets onto an orange embroidery hoop found at Michael's crafts.